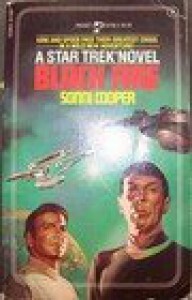 Easily, hands-down, the worst Star Trek novel ever written (though, granted, I stopped reading the serializations about 10 years ago and it's conceivable something as bad - but not worse, trust me - has come out). 1. It takes Enterprise, moving at high warp speed, three days to circle around a star (THREE DAYS!!!). 2. Spock infiltrates the Romulan fleet and almost immediately is put in charge of a ship. This despite the fact that "The Enterprise Incident" established that he is not the most trustworthy of turncoats. It's been over 20 years since I've read this book and it still exercises me.